University is a strange experience. It is both the best and the worst 3-5 years of your life. Despite going through university saying phrases like ‘Ugh I hate this’, ‘Why did I even apply to uni?’, ‘Never going to pass this module…’, ‘I didn’t get a word of that!’ and many more, on a daily basis, when I look back at those three years, I can actually say that I did enjoy it! And yes, despite the stressful times, I would do it all again in a heartbeat. University mental health has been a growing topic of conversation in the media over the last couple of years, and rightly so. 64% of the university population is made up of young adults between the ages of 16 and 24 (83% of undergraduates fall into this category). This just so happens to be the age group that is most affected by common mental disorders. Financial burden – The high cost of tuition fees and having to pay back student loans. Potential negative consequences of the increased use of social media. In 2015/2016, 15,000 first-year students, when asked, reported that they have a mental health condition. In 2006 these figures were as 3,000. A huge difference in just 10 years, and it is believed that there are still many students who suffer in silence, therefore these figures may not be accurate. A greater concern is that student suicide has risen by 79% between the years 2007 and 2015. As a result of mental health, the rates of student dropouts has also increased by a large amount (210% in five years). Does this mean that universities are failing their students? Is the NHS failing young adults? Or is stigma the main blame? – I would love to hear your thoughts about this, so please do not hesitate to leave a comment below or get in touch via social media. 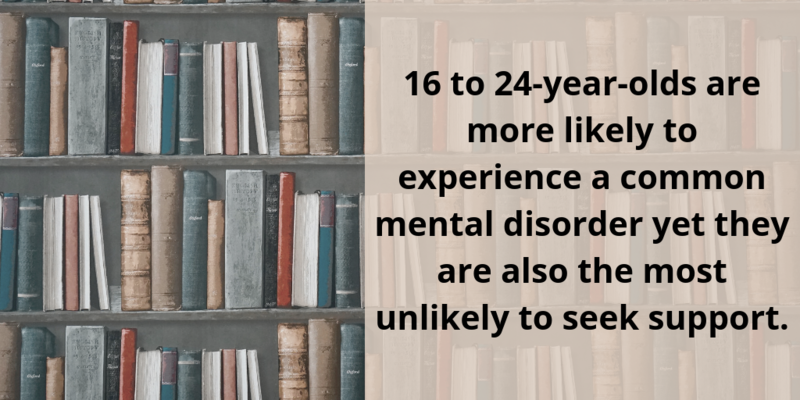 Most, if not all, universities have some form of mental health services available for their students, it is just a case of accessing such services that are known to be a problem. Due to lack of funds and resources, universities are unable to hire a large number of qualified mental health nurses or psychological counsellers, therefore there is only a handful of trained staff to go around thousands of students which is simply impossible without having large waiting lists. I earlier mentioned the NHS and their part in this matter. Are they partly to blame for so many students relying on their university services for help? Due to the large waiting lists through the NHS for counselling and the fear of being put onto medication (for some individuals), students turn to their university for help. On average, universities offer 5-6 weeks of counselling to each student who requests it. Once these 5-6 weeks are over, the student must re-apply before they can have any more sessions. This is so that all students have the opportunity to receive counselling; however many people believe that 5-6 sessions are not enough. Molly said that her university has offered a lot of support for students in regards to mental health; ‘jumping through hoops’ to ensure that assignments and dissertation writing is the least stressful that it can be. Molly received two major extensions on one of her assignments as her university lecturer was aware of her personal situation. As well as her own lecturers being so supportive of her needs, lecturers who do not teach Molly personally, have also shown their support and understanding. Molly also wanted to state that this is the case for all students within her university, lecturers treat each and every one of them with the same level of respect and support. Although support from staff is amazing, accessing other services can be difficult. In Molly’s personal experience, there was a 12-week waiting list, despite telling them about having suicidal thoughts. Once the 12 weeks had passed and the counselling session began, Molly said that she did find them helpful and that the Student Union are working hard to shorten the waiting times for students in regards to counselling and other resources. 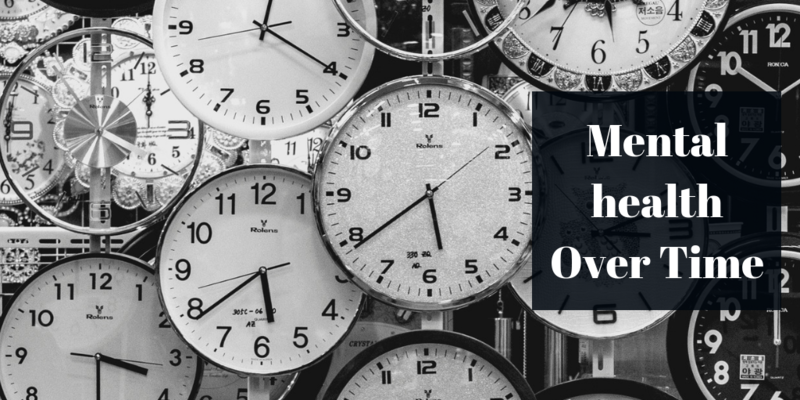 In relation to assignments and gaining access to extensions, Molly said that obtaining a 10-day extension is pretty easy. However, there is an issue in regards to extenuating/mitigating circumstances. This goes for mental health and also for grievance. When a student needs to ask for extenuating circumstances due to the loss of a loved one; the university requires proof of that person’s death, in the form of the original death certificate (not a photocopy). This can causes added stress to the students and their family at an already stressful time, some students can’t bare asking their family for the death certificate of their loved one and therefore are forced to continue their studies and submit their papers on time; despite going through a tough time at home. This again can be particularly difficult for students who live far away from their family. Molly is hopeful that there will be a reform in regards to this policy in the near future. I can personally back-up this statement in regards to having to show proof of a death certificate when asking for extenuating circumstances. I go to a different university to Molly, therefore I am lead to believe this is the current policy across all universities in the UK? I was in the run-up to the deadline for my dissertation when I lost a loved one suddenly. I fell a little bit behind in my work and went to speak to my mentor about extending the deadline by 5-7 days… I was told I would have to show them my loved one’s death certificate and without it, the only option I would have would be to submit my dissertation in the August instead of the April and as a result of this I would not graduate with my classmates in the summer and that I would have to wait and graduate in Winter… Which to me was not an option as my family were all aware of my graduation date and was looking forward to it and I was scared of letting people down. It is so important that everyone, no matter their age, receives the help and support that they need when it comes to their mental health. Early intervention can make such a huge difference and having additional support in areas that can be stressful, such as in the workplace and in the university can also be very helpful. It is great that universities have counselling services available for students… but is this enough? Please feel free to leave comments below expressing your thoughts, opinions and expereinces. There is a fair amount of stigma surrounding psychosis as there is a lot of misunderstanding about what it means to experience the condition. 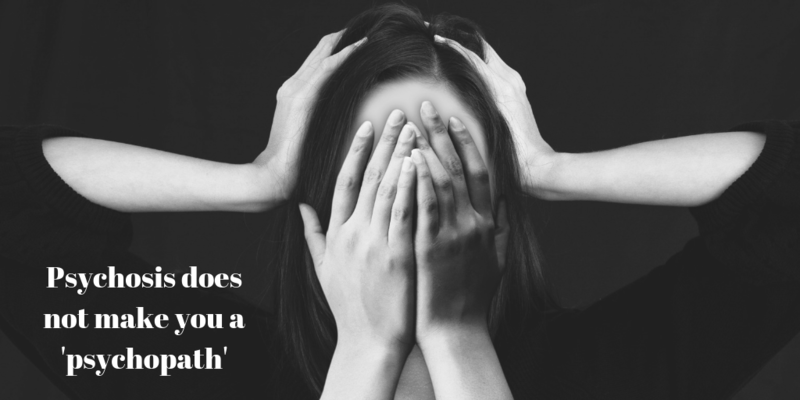 There are many negative connotations that have stemmed from the word ‘psychosis’, with a lot of people believing that individuals who experience psychotic episodes are dangerous to themselves and those around them. But this really is not the case. Brief psychotic disorder – this may be the diagnosis given if your symptoms last less than one month, or if the doctor cannot diagnose any other disorder based on the symptoms that you possess. You do not have to have one of the above conditions to experience psychosis, it is possible to experience it on its own. Having a physical illness or injury can in some cases, cause you to see or hear things that are not really there. This is particularly likely in the case of a high fever or head injury. 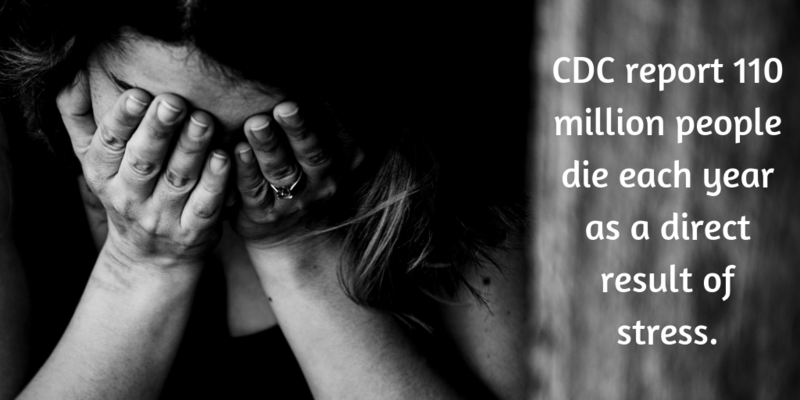 It is also more common in those who have experienced lead or mercury poisoning or if they have Alzheimer’s disease or Parkinson’s. Drugs can also cause people to see or hear things that are not truly there. Street drugs such as LSD and cannabis are among the drugs that can have such effects. Some prescribed drugs can also cause hallucinatory side effects; as well as coming off of psychiatric drugs. Severe hunger, low blood sugar or not getting enough nutrients. Bereavement. Sometimes people can hear or feel their lost loved ones around them after they have passed, though they cannot see them directly. 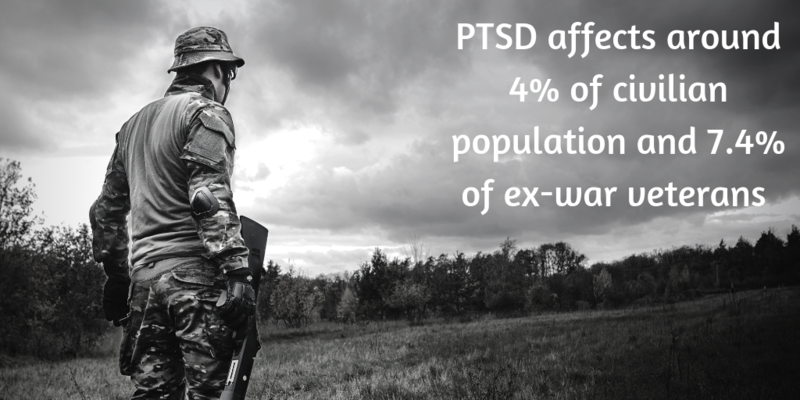 Abuse or trauma can also trigger hallucinations and delusions. Spiritual experiences – Some people hear voices or have visions as part of spiritual experiences. This could be a negative experience or a positive one. Family inheritance, meaning that you may be more at risk of experiencing psychosis if other members of your family have also experienced it. There are three main types of psychosis, hallucinations, delusions and disorganised thinking and/or speech. Hallucinations Include seeing things that other people do not see. This could be seeing faces, animals or religious figures. Hallucinations may also cause the individual to see objects in a distorted way, this could include seeing them move in a way that they usually wouldn’t. As well as seeing things that are not really there, the individual may also experience tastes, smells and sensations which do not have an apparent cause. Hearing voices is also common when hallucinating. The voices are not always negative, they can be positive and helpful too. Delusions are false beliefs. We all have beliefs that other people do not share with us, however, a delusion is more than that. It is a false belief that no one else shares and the individual will still believe it despite there being an endless amount of evidence against it. Some delusions can be frightening, believing that someone is watching you, following you or trying to harm you in some way. These ideas are often referred to as ‘paranoid delusions’. Disorganised thinking and speech can come as a result of hallucinations and delusions as they can leave the individuals thoughts and emotions feeling confused. Disorganised thinking can also be called ‘formal thought disorder’ and it can include symptoms such as racing thoughts. Thoughts that go through their head very fast and often come with a flight of ideas. Flight of ideas is where thoughts move very quickly from one idea to another, making links that other people do not make. The individual may speak very quickly and stutter over your words, making others find it difficult to understand them. They may also link words together due to the way that they sound rather than by their meaning. This can cause their speech to be jumbled up. It is also common for them to change the topic of conversation fairly quickly and they can find it difficult to concentrate on one thing for a long period of time. Racing thoughts and flight ideas can also be a result of hypomania, if the individual only experiences these when they are in a depressive, manic or mixed episode then that may be diagnosed with bipolar disorder. It is important to remember that psychosis can affect people in various different ways. They may experience it once or they could have short episodes throughout their life, or in worse cases, they could live with it through the majority of their life. There is no quick and simple treatment in regards to psychosis, however, with the correct treatment and support, it is possible for the individual to manage their symptoms and recover. This does not mean that all of the symptoms go away completely. However, it does mean that the individual may find various ways of coping with their symptoms if they were to continue. There is a range of treatments available for psychosis. 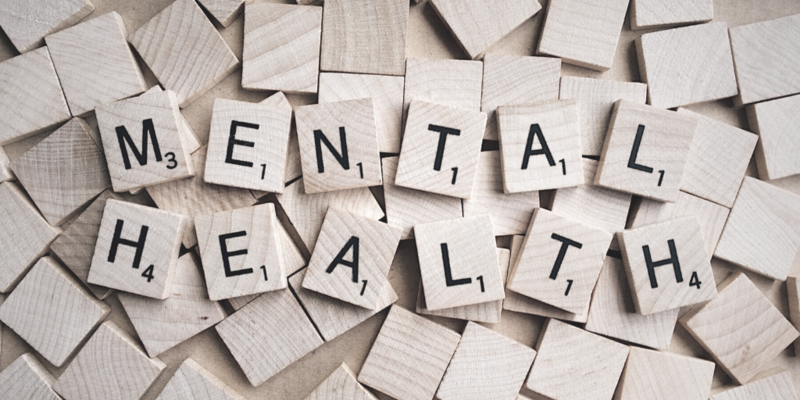 These include talking therapies such as Cognitive Behavioural Therapy and medications such as antipsychotics, antidepressants or mood stabilisers. It is possible that a doctor will use a combination of medication and therapies in order to ensure that the individual receives the best form of care for their condition. It is also common to be prescribed with other medications if antipsychotic drugs cause any side effects. There are different forms of therapy which are likely to be discussed between the doctors and patient in order to find which is the most suitable for the individual. On top of one to one therapies, there are also family therapies available which not only help the individual but also help family and friends so that they are more aware of the condition that their loved one is experiencing, giving them the information that they need so that they are able to give help and support where necessary. There are also group sessions available, such as art therapies, helping the individual to express themselves in various different ways. We always think of mother as someone who is loving, caring, and selfless. She is the person who we look to for comfort and support. She kisses our boo boo’s and is our biggest cheerleader. Unfortunately for Willow, her mother wasn’t any of those things. She spent a lot of years trying to figure out why. One day, she found an article online called: “Why Daughters of Unloving Mothers attract Narcissists.” There, she found her answer. Her mother is a narcissist. Willow started educating herself. She found an online support group and read the other members stories. She could relate to just about every one of them. Then, she went to YouTube and watched dozens of videos. All of a sudden, everything made sense. That moment was both emotional and eye-opening for her. Many women, like Willow, are coming to this same conclusion. Narcissistic mothers are often seen as “mother of the year” to the outside world. Behind closed doors, she is the total opposite. She is “always right”, self-centred, and relentless. Every now and then you get “love” but that doesn’t last. Most children just do what they need to do to please mother so that they can avoid her wrath. Willow’s mother was very active in her church. Willow and her brother had to participate in just about every church activity. Willow also got good grades in school. Everyone would give her mother praise. Willow would try her best to continue to do good to please her mother. Whenever she would try to express any of her own thoughts, mother would devalue her and make her feel like she wasn’t good enough. Her mother’s favourite phrase was, “Honor thy mother.” She used that to keep Willow in line. Growing up, Willow did not get the proper guidance she needed to go out into the adult world. Because she didn’t get validation from her mother, she looked for it in other places. This led to a lot of relationships with men who didn’t appreciate her. After many years of being used and emotionally abused, she finally found her voice. Willow met a wonderful man who loved her just for her. He didn’t see her as damaged. He saw her as beautiful. His family welcomed her with open arms. Willow has two beautiful daughters who she loves dearly. She is motivated to have the kind of relationship with her daughters that she didn’t have with her own mother. Willow also sees a therapist and that helps a lot. She learns the things that she has missed out on, with the help of her fiance and his family. They are a great support system. For once in her life, Willow doesn’t feel alone. If you are a survivor of a narcissistic mother, remember that it wasn’t your fault. Realizing that it wasn’t your fault is the hardest part of the healing process. Well, at least, for Willow. Find a support group and share your story. Once you get it out, it will be such a big relief. The best part is that you will be surrounded by people who will believe you. Educate yourself on narcissistic personality disorder. YouTube is a great resource. Read. The Journey by Meredith Miller really helped Willow in her healing journey. Most importantly, don’t rush your healing journey. Be Kind to yourself. You’re a survivor. I would just like to take this moment to thank Janera for sharing this short, important piece with us. There are many people who have had experience with narcissistic parents, and this is a nice piece of writing explaining that things can get better, that talking about the past is okay, there are various different support systems out there, you are never alone. Everyone’s healing journey is bound to be different, so do not compare your healing to others. You can check out Janera’s newly launched blog here! There are many negative phrases that can have a large impact on an individual’s mental health and wellbeing. A lot of these phrases are directed at children, which can be damaging to their future. We are all guilty of using some of these phrases, maybe we have used them as a one-off in a moment of anger, maybe we use them on a daily basis, whatever the circumstances may be, these phrases need to be stopped. One of the worst things that parents say to their children is ‘shut up’, ‘be quiet I am trying to watch TV’, ‘go away I am busy’. All of these things make the child feel as though they are not important enough to be listened to. Especially when they are told to be quiet so that you can watch TV or because you are ‘busy’… too busy to listen to your child? If they are excited to tell you something, you should listen to them, even if what they are saying seems silly to you. If they are upset and the matter seems small to you, it could be a big deal to them and the fact that they want to speak to you about it means that it must be important to them and they want you to listen and support them. If children are always told to be quiet when they want to tell their parents something, they will eventually stop telling their parents anything, no matter how big or small the matter is. Leaving parents questioning themselves as to why their child keeps everything from them, or never spends time with them. If children are stopped from talking and expressing themselves it can lead to mental health concerns in the future. They can become isolated and keeping everything to themselves is not good for their mental wellbeing. Parents are supposed to be there to support their children no matter what. They should be the child’s go-to person when they have a problem, but if they are always told to be quiet or go away, they start to feel as though they are not wanted, or that their problems are a burden on their parents. 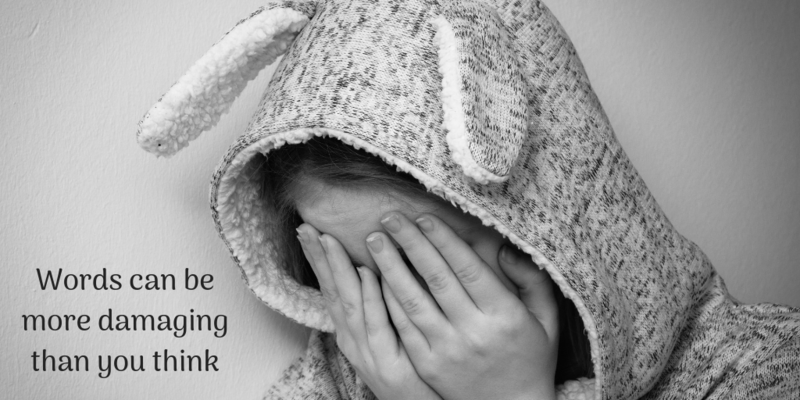 Not allowing your children to express how they feel can be extremely damaging. For example, using phrases such as ‘don’t be such a baby’, ‘don’t be such a girl’, ‘big boys/girls don’t cry’, ‘stop crying or I will give you something to cry for!’ and so on and so forth, are all damaging phrases that can impact negatively on a child’s life. Children are vulnerable, they need comfort and support. Yes they may cry when they fall over, despite them being physically fine, the fall may have scared them, maybe they were pushed over and they are upset at that, let them cry, comfort them, ask them if they are okay! Do not just send them on their way, tell them to brush it off and man-up, this may stop them from crying… but it also causes them to bottle up their feelings and that is never okay. Comparing them to their other siblings or their friends is also very negative. Making them feel as though they are your least favourite, that you do not like them for who they are, trying to change their personality, their intelligence and so on. It can cause them to have very little self-esteem and self-confidence. Self-confidence is one of the key personality traits that people look for when hiring people for jobs. As you can see, these are just some examples of how what we say can affect children. Some argue that it is not what you say it is how you say it… but I personally do not think that is true. Maybe for some phrases, but certainly not for others. I would love to know your thoughts on this, so please leave comments below! Let me know some other phrases that you believe are damaging to children’s development, wellbeing and mental health. Hey all my name is Jay and I am a Growth Mindset Coach, I have completed courses in NLP, Life Coaching and Hypnotherapy. I have read over 100 books on these subjects also. It all started when I went through a short period of time suffering from anxiety, I came to find that the doctors just wanted to give people medication and send you on your way. So I decided to find my own way out of this situation, I have written some of the best bits of all that I have learnt or read that helped me through that tough time. 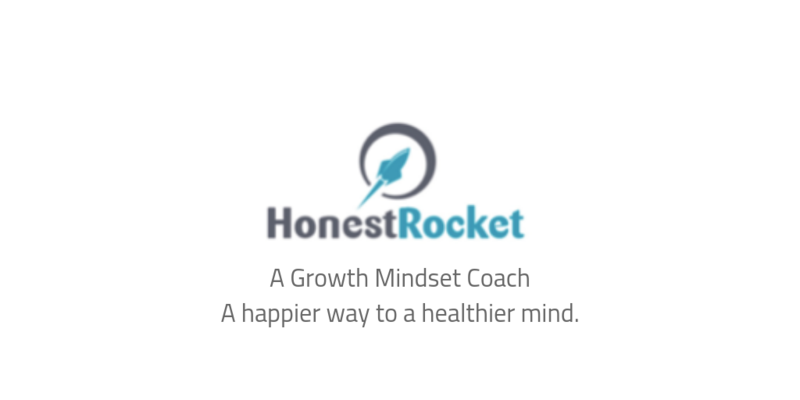 Honest Rockets 5 steps to launch your life. 5…….Did you know 21 days of writing 3 things you are grateful for rewires your brain and can have a positive effect, Research was carried out by Harvard researcher and Author Shawn Achor. Other studies show Gratitude increases willpower and helps to keep you calm and boost morale. In short, practising gratitude seems to kick off a healthful, self-perpetuating cycle in your brain, counting your blessing now makes it easier to notice and count them later. And the more good you see in your life, the happier and more successful you’re likely to be. I urge you to participate in the 30-day gratitude challenge. 4…….Anxiety and beyond, I myself suffered from anxiety for a short period of time. Those who have experienced anxiety know that it can quickly spiral out of control, leaving you trembling, sweating or finding it difficult to breathe. Feeling internally anxious greatly affects your physical being. How can you combat this? Change your physical state. Changing your physical state can be as simple as lifting your chest a little higher, or getting up and dancing. Most of us look for what’s wrong in our world; what’s wrong is always available. But remember: what’s right is also there. It’s how you control your focus. When you feel tension, pain, stress, or anxiety, try Tony’s Robbins 90-second rule. Feel your issue for 90 seconds, figure it out, and let it go.If you expect to never feel anxious or fearful again, you’re setting yourself up for disappointment. Everyone feels fear or anxiety to some degree. You can’t change the fact that stressful moments in life happen, but you can decide to move past them and control your emotions. The next time you feel yourself seizing up in a panic, use the 90-second rule. The 90-second rule is one of Tony Robbins’ natural remedies for anxiety. Accept that you feel fearful in the moment and look at a timer or clock; you have 90 seconds to feel terrible. You are allowed to give yourself 90 seconds to feel self-pity or fear or anger or worry or whatever feelings surface. Once those 90 seconds are up though, it’s time to move on for good. After the 90 seconds have passed, you need to accept that those feelings are in the past and you’re working on moving toward your goal, regardless of your emotions. Don’t beat yourself up for feeling anxious – everyone handles anxiety at some point in their lives, some people just do so more frequently than others. Recognise that although anxiety may be part of your story, you have the control and drive you need to succeed anyway. 3…….’for there is nothing either good or bad, but thinking makes it so’ Quote By William Shakespeare. We think around 60,000-80,000 thoughts per day. Changing your self-talk has an effect on your mood and physiology. You can ‘watch’ your thinking, therefore you have the power to control your own mind – instead of letting it control you. You can not have a feeling without a thought. The Psychological mind is made up of three separate brains: Human, Chimp and Computer. Your chimp is an emotional thinking machine. Your Computer is a storage area and automatic functioning machine. Any one of them can take control but they usually work together. 1….Make yourself accountable, Reach for your goals, Look inside for the answers, You are enough, If you want a different answer change the questions. Time to Talk Day had a theme this year! The theme was ‘Ingredients’… talking about what ingredients are needed in order to have a good conversation about mental health. This theme got me thinking about my ideal setting for a good conversation, where have I had some of my best chats? What was involved? What would have been better? These are things that we rarely take into account, although they really do matter! I personally hate sitting in a silent room as it makes pauses in the conversation feel awkward to me, especially if I am talking with someone who I do not know very well. So for me, I enjoy coffee shop conversations as there is always background noise and things going on around you, but not the type of noise that would be distracting or overbearing. I also find coffee shops to have quite a relaxed atmosphere to them; sitting down with a nice hot drink and a cake whilst engaging in a pleasant conversation and the smell of freshly brewed coffee. Over the years I have spent many hours sitting in coffee shops, either on my own doing work or with a friend having a catch-up, and there is nothing I enjoy more. 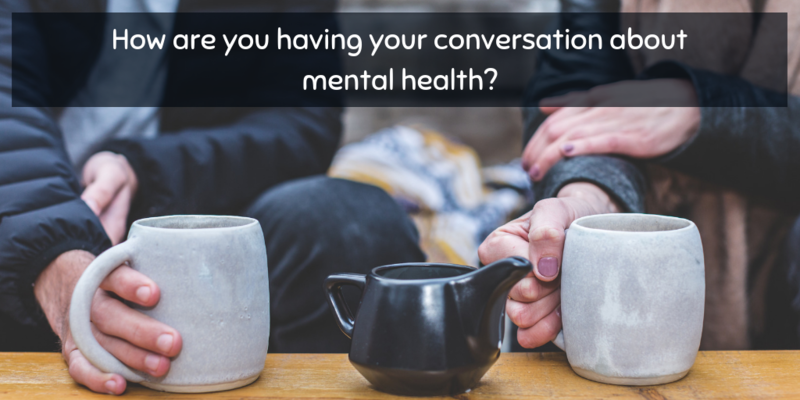 When it comes to talking about mental health, starting the conversation may be a little bit difficult, especially when talking to someone who does not fully understand mental health. Not knowing how people are going to react, whether they will be understanding, whether they will ask a million questions, or whether they will dismiss the topic completely. But you never know unless you try. I have had so many conversations with people about mental health, both my own experiences, their experiences or just a general chat about mental health conditions and services that are available. Some have gone better than others; sometimes the person leaves with a better understanding of mental health, sometimes they feel as though a weight has been lifted and are grateful that someone cared enough to just sit and listen to what they had to say, some turn into friendly debates about certain topics surrounding mental health… but all of these conversations were equally valuable. You learn different things from different conversations, positive or negative. Someone may be experiencing the same condition as you but their journey may be very different from your own. Their symptoms may be slightly different, their treatment plan could be different, they may be able to give you advice that you have not heard before and vice versa. Someone may not understand mental health at all and may portray a negative view on the matter, but you hear them out… they tell you what they think, you challenge their views, they question your knowledge; you are both left thinking about other possibilities, or maybe you manage to give them a better, more personal insight into mental health, maybe not changing their opinions completely but putting a dent on them. Every conversation matters. Maybe you like coffee dates like myself, or maybe you prefer to sit somewhere more isolated and quiet, the comfort of your own home for example? Maybe there is a bottle of wine and a group of friends involved in the conversation! Maybe you prefer the outdoors, going for a walk or having a picnic whilst chatting away to a relative. Maybe your conversation takes place in work during your lunch hour? Whatever you enjoy, wherever you feel more comfortable, is perfect! So have that important conversation, share experiences, share your opinions, give advice, share statistics, talk about studies and what is happening in the news with mental health! However you start the conversation, make it count. Together we can break down the stigma around mental health.